The OASE FiltoSmart Thermo 300 is a compact externally mounted aquarium filter for use in salt water or fresh water aquariums up to 300 litres (67 Gallons). 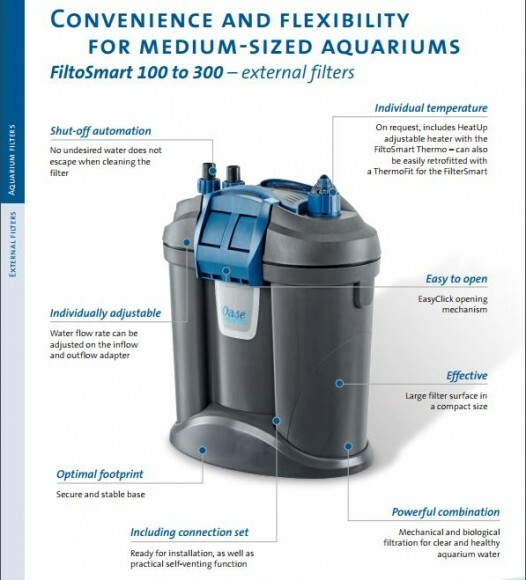 The FiltoSmart features an integrated 300 watt heater and built-in 1000L/Hour water pump with convenient inflow and outflow hose adaptors which also allow the flow rate to be adjusted. 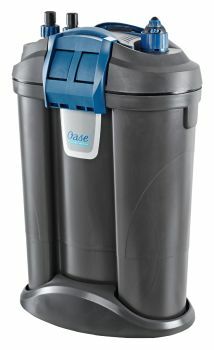 The robust housing features strong clips for opening the lid and a folding carry handle. A removable base is also supplied offering a very stable footing for the filter when table or cabinet mounted. 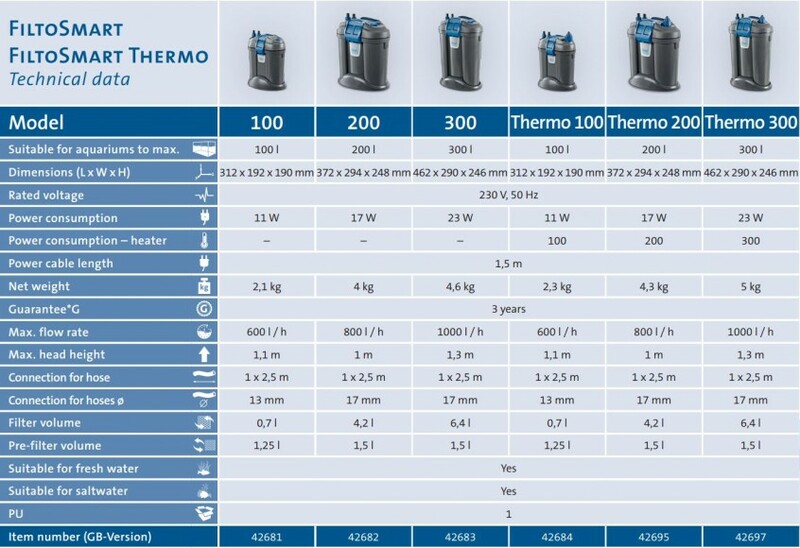 The FiltoSmart Thermo 300 contains a range of coarse and fine filter foams and ceramic media, offering a substantial surface area for mechanical and biological filtration. The FiltoSmart Thermo 300 includes an integrated HeatUp aquarium heater making it suitable for tropical and marine setups.